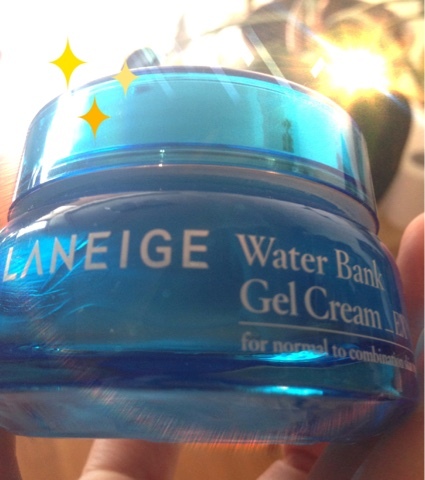 Seoul cafes: Laneige water bank gel cream review! Summer makes my skin hot and dry and cranky and oily. All at the same time sometimes. It's not a pleasant season for my skin. It flares up in heat because of the change of temperature which brings on pimples. Sadly I still suffer from hormonal angry pimples even in my 30s. It's not nice of my genes to betray me. I'm not the lucky genetastic Koreans that have flawless skin 365 days. I've found that this guy - specifically the gel cream really helps soothe and provide moisture. I've already consumed a good bottle of it so fast! It really helps soothe my skin and leaves it feeling moisturized without worrying whether it would break me out later. I would say this is necessary for the summer season. I would definitely not use this in winter because it's not heavy enough - but indeed perfect for summer and my cranky summer skin!